We have been invited to this round of The Fantasy Collective and it is with pleasure that we accepted to participate, so here’s what you can find among several other great releases. This round’s theme of The Fantasy Collective is “Arabian Nights” and for this we created two long, rich voluminous hairstyles. Sabahi is suitable for both men and women alike, while Sabra has a more feminine look and comes with a hair accessory too. – Small Medium and Implants – ladies version. Implants are meant for ladies wearing mesh breast and the shape of the hair changes accordingly. Each pack is sold with a HUD in 14 tones; fatpack contain six huds with all the tints. – To change color on the Hair accessory simply click on the ‘Accessory’ button on the hud and click on one of the seven metals available. More info about the hud inside the hud instructions notecard. Please note that this hair is currently available only at The Fantasy Collective event and once the event will be over, the hairstyles won’t be in store before three months. But that’s not all, you already know Kevin; this is an exclusive Jinn (*) fantasy series done for The Fantasy Collective as second preview of the future store release. 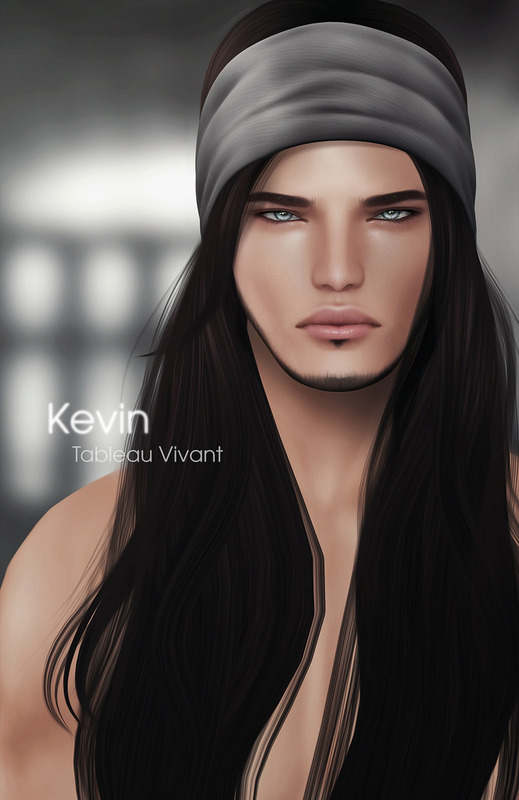 And remember, ~Tableau Vivant~ Dark Creatures Skin will not be available anymore after the event’s closure. This is your camel ride to the event! – system eyebrow shaper and alpha lashes layer. Package n. 5 comes with all of the above except for the facial hair that is not included. Kevin shape is sold separately and is available in the five standard sizes. We’re very much in love with Kevin and we hope you will like him too! Come visit us at Collabor88! Sean is a little bit different from recent skin releases, but we promise you will love all the options! Ready? Sean comes in 10 tones (same used for David and Lucis) but you will find several new entries. Also the usual 2 tintable hair bases and the happy trail tattoo and underwear layer that you already know. This is what you get in each pack. 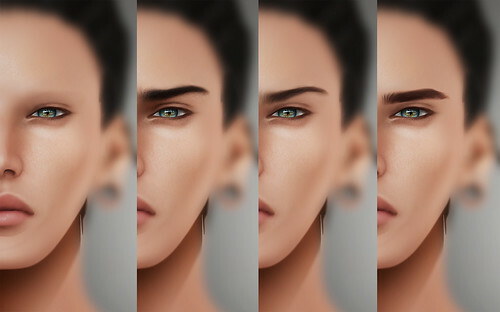 Four tintable eyebrows layers,ten facial hair and Slink Appliers, compatible with David, Lucis and Sean only at the moment. Also a shape is available for Sean. And finally a new unisex hairstyle; dreadlocks since the feedback called for more! Dreads ponytail hairstyle with an extra optional hairline add-on. Both gender sizes are in the pack and since unrigged you will be able to fit them on your shape, thanks to the XYZ independent stretch resizer. Two shapes are provided for the ladies, one for rounder heads and one for thinner and one size for the gents. Some guys might fit the female version best, depending on their head shape. Inside the pack there are 14 hairbases to match the hair. Stlecards are available on our flickr stream, as always. We hope you will enjoy our new release!